The stop loss on the position in AT&T (T) versus iShares U.S. Telecommunications (IYZ) is moved to break even. 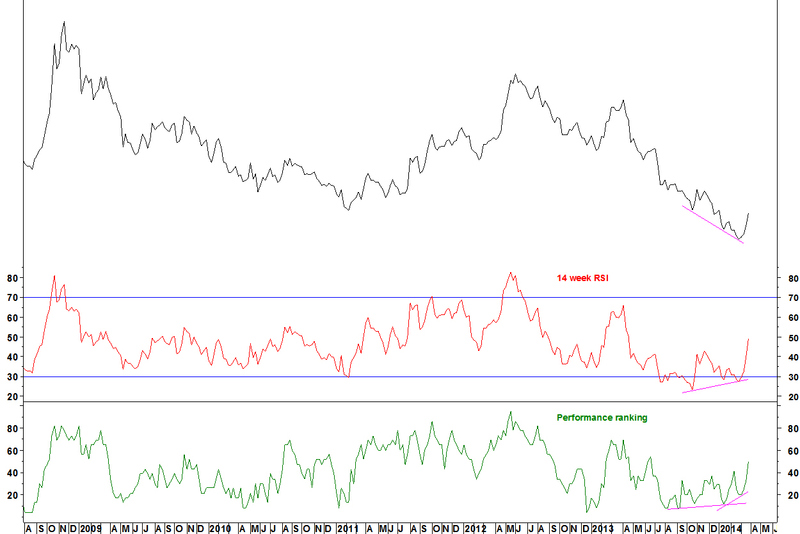 This had been entered following bullish weekly divergences on the RSI and Performance Ranking indicators. At the time of writing, this has a 2.8% profit, having pulled back a bit this week. The end of week chart shows is below.